To obtain a real estate salesperson license, you must first qualify for and pass a written examination. The California Department of Real Estate (BRE) general requirements are that you must be 18 years of age or older, have proof of legal presence in the United States (non-California residents should consult the BRE website), and be honest and truthful. 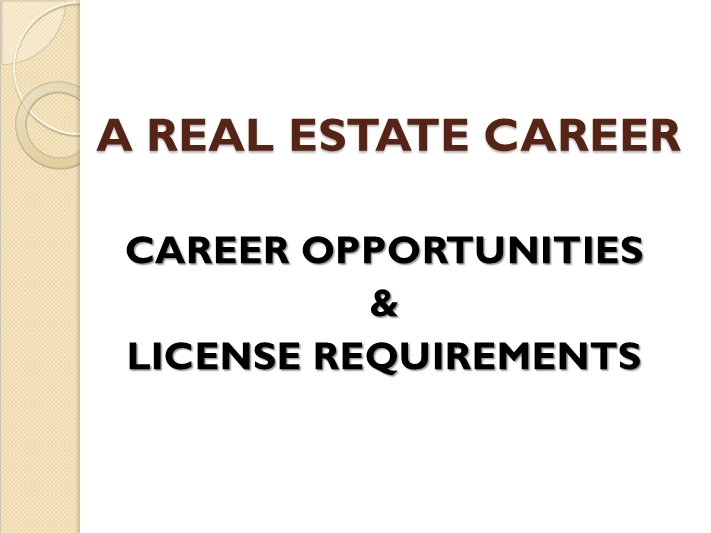 In addition to these general requirements, the DRE requires successful completion of three college-level courses to qualify for the real estate salesperson exam as follows. The licensee must furnish an official transcript as evidence of the successful completion of all courses. * No equivalent course currently offered. 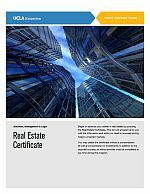 For real estate licensing requirements, visit bre.ca.gov. For information about the UCLA Extension real estate courses, call (310) 206-1579 or visit our website: uclaextension.edu.